My wine glass, my neighbors' Christmas lights. Congrats on your top 20 finish with your very first submission. Perhaps the most exciting image in this challenge exploting the qualities of a sharp bokeh effect. Very nice. 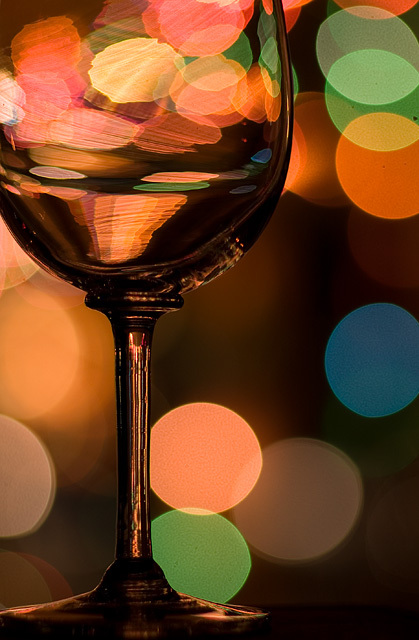 Interesting bokeh -- it seems different lights created different shapes (and I don't just mean as refracted in the glass). very nice, I did a similar thing for candlelight! looks good! Proudly hosted by Sargasso Networks. Current Server Time: 04/21/2019 03:02:12 PM EDT.